Do you have information to share about how to do something in the science/technology sector? Be as detailed as you can, by not assuming prior knowledge of the subject. This is another article in my series of practical solutions to Nigeria&apos;s problems. In response to incessant power interruptions in Nigeria, I recently built a friend a battery power backup system. This is an alternative solution to Diesel Generators. Not even Abuja is immune to PHCN&apos;s incompetence, since my friend lives in Abuja. The idea of this Power backup system is quite simple. When power is on from PHCN (NEPA), the battery Charger charges the Battery. When PHCN strikes with a blackout, the battery takes over. One can run several electrical devices on the charged Battery. Typically the backup system runs fans, light bulbs, laptop, TV, cellphone chargers, etc. The battery puts out 12 volts DC current. As we know, home electrical appliances run on 240 volts AC. So we need to convert the 12 volts DC coming from the battery to 240 volts AC that our electrical devices require. The Inverter converts 12 volts DC to 240 volts AC. The advantages of this power backup system are numerous compared to a conventional diesel generator. - Practically maintenance free once you get it up and running. - Can be upgraded and downgraded easily. The above is a 1000W system. Generally, a more powerful system can be built by adding more batteries, and getting a higher wattage Inverter. The more batteries you have, the longer you can run the system for. Assuming I want to build a 5kW system, I would need to purchase a 5kW Inverter. I would also need to get more batteries to share the load. I will post next a step-by-step on how to connect all of the above components together. Battery Power Backup System Connection Guide. First, label the Charger and the Inverter. This would forestall confusion later. I suggest you give this section of the guide a cursory read before you start connecting things. A quick read to the end would give you a complete picture of what you are about to do. Decide where you want to situate these devices. They should be away from general living area. Remember, you won&apos;t need to move them later. So find a permanent location for them. 1. The Charger has two terminals - positive, and negative. Note: Positive is labelled +. Negative is labelled -. Note: For the wires, Red is Positive. Black is Negative. 2. Take a Red wire, with alligator clip on one end. 3. Connect one end of the Red wire to the positive terminal of the charger. 4. Connect the other end (with the alligator clip) of the same Red wire to the terminal of the battery marked +. 5. Take a Black wire, with alligator clip at one end. 6. Connect one end of the Black wire to the negative terminal of the charger. 7. Connect the other end (with the alligator clip) of the Black wire to the terminal of the battery marked -. 8. Take a Red wire, with alligator clips at one end. 9. Connect one end of the Red wire to the positive terminal of the Inverter. 10. Connect the other end (with the alligator clip) of the Red wire to the terminal of the battery marked +. 11. Take a Black wire, with alligator clips at one end. 12. Connect one end of the Black wire to the negative terminal of the Inverter. 13. Connect the other end (with the alligator clip) of the Black wire to the terminal of the battery marked -. Double check your connections from step 1 through step 13. If you cross terminals, you&apos;d either end up with an explosion, or the devices would be permanently damaged. Now plug the Charger into a PHCN outlet. The charger would begin to charge the battery. Read the manual for the Charger. It should give you a good idea of how many hours it would take to charge the battery. Wait for the battery to be fully charged before you start using the setup. How to start using the setup. - Get a power strip, with a very long extension cord. - Plug the power strip into the Inverter. - Run the power strip to any part of the house where you need it. Now that you know how to build a battery backup system, it&apos;s time to delve into the theory and science behind it. It&apos;s not enough to just know how to build it. It pays to understand the underlining principles, the physics and chemistry of it. By the time you&apos;re done reading, you should almost be thinking like an electrical engineer. Hopefully, this this would be an easy read, rather than come across as a technical manual. 1. Shed more light on Inverters, Chargers, and Batteries. 2. Explain what to look for when making purchase decisions. 3. Understand how to upgrade an existing backup system. 4. Graduate from this backup system, into a full blown solar generator. 5. Save power by switching to power saving devices. My plan is to write something each night, till I cover everything. Without further ado, let&apos;s get started. In a nutshell, when power is on from PHCN, the Charger would charge the battery. 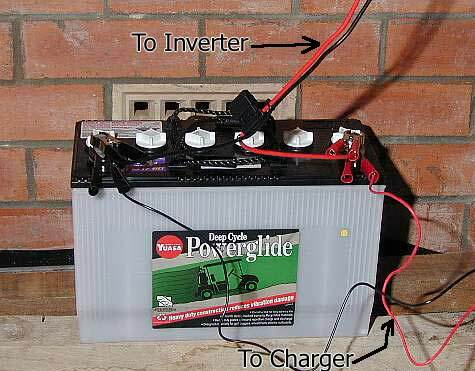 An Inverter is connected to the battery, which converts the 12 volts DC current, to 240 volts AC. A power strip can then be connected to the Inverter, and electrical appliances connected to the strip. During a blackout, this system will be able run most electrical appliances, with the exception of high power appliances like refrigerators, air conditioners, etc. If you look at the picture again, you notice that we only show one battery. A single battery like this would be drained quickly if used to run electrical devices. So we need multiple batteries, to extend the time you can run things for. For example, if one battery lasts for 90 minutes, two batteries would last 3 hours, and four batteries would last 6 hours. More batteries = longer run time. Now, let us see why more batteries equates to longer run time. Pay attention to what I&apos;m about to present. It&apos;s the theory behind the system. Battery power is measured in Amp-Hours (abbreviated to Ah). This is a measure of the amount of power the battery can store. If you look on a battery, you will find two important values written on it: The Voltage, and the Amp-Hours. Since electrical appliances consume power measured in Watts, we&apos;re really only intereted in how many Watts the battery produces, not Amps. So how many Watts can this 80 Ah battery produce? Watt = Amperes x Volt. If you&apos;re interested, the formula is known as Ohm&apos;s Law. DC car batteries are rated at 6 volts, 12 volts, 24 volts, etc. 12V x 80Ah = 960 Watts for 1 hour. Now that we know what Amp-Hours is, and how to use it to calculate power in Watts, let&apos;s look at typical home applicances we could run on the battery above. As a rule of thumb, a home run on batteries should have energy efficient electrical appliances. 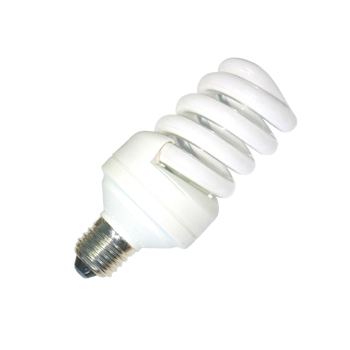 Here are some examples: instead of tungsten incandescent lamps, you should use fluorescent or LCD bulbs. Instead of CRT TV, you should get LCD TV and computer monitors. And so forth. We will elaborate on this topic later. They are 3 watts each. If you run 20 of those around the house, that is a total of 60 watts being consumed. In other words, 20 of those bulbs would consume the same amount of power as a single 60 Watt incandescent bulb. Let&apos;s do some calculations of power consumption at home. 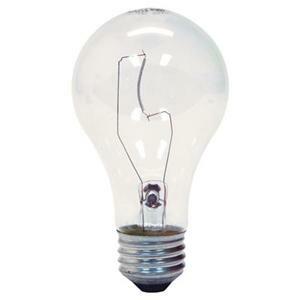 Let&apos;s say we&apos;re running 10 of those 3 watt bulbs = 30 watts. and our fan is a 45 watt fan. (Let&apos;s say we have 3 fans. 3 x 45 = 135 watts). So far we have: 30 + 100 + 60 + 135 = 325 watts. We have already determined that our battery above can supply 960 watts for one hour. So, how long can this battery last, if we ran all of the listed appliances above? 960 / 325 = 2.9 hours. As you can see, 2.9 hours is not very much time. In order to increase time, we can add another battery. So, let&apos;s say we do go ahead and get one more battery. How do we need to connect the second battery in order to increase the total Amp-Hours? There are two ways by which we can connect a second battery - in Series, and in Parallel. If we connected the two batteries in series, we would increase the battery Voltage. If we connected them in parallel, we would increase the Amp-Hours. Therefore, since our goal is to increase the Ah, we need to connect the second battery in parallel. Connecting in parallel means connecting the negative terminal of one battery, to the negative terminal of the other other battery. And the positive of one to the positive of the other. As we assumed before that the battery is 12V@80Ah, connecting a second battery in parallel would give us 80 x 2 = 12V@160Ah. again with our formula: Watt = Amperes x Volt. We calculated the power output of a single battery to be: 12V x 80Ah = 960 watts for 1 hour. In other words, the two batteries would produce 1920 Watts for 1 hour. We have effectively doubled our power output. Back to the question we asked before: how long can the two batteries last, if we ran all of the electrical appliances we listed earlier (i.e. bulbs, tv, fans, etc)? Go ahead and answer that question on your own. If we continue the calculation for more batteries, you would find that each successive battery we add effectively increases the length of time the batteries can run for. In summary, when you want your batteries to run longer, you add more batteries in parallel. 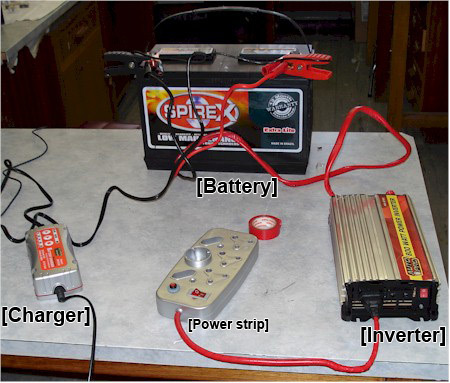 Here is an example of a large number of batteries connected together to form a powerful battery bank. That&apos;s it for today. The write-up continues tomorrow. Here is an illustration of parallel wiring of batteries. When you wire in parallel, the voltage output stays the same, while the Amp-Hours increases. Now let&apos;s talk about Inverters, and chargers. What are they? 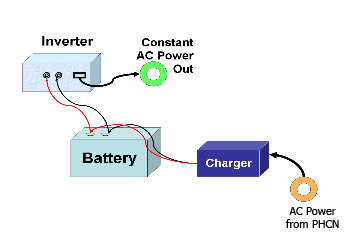 An Inverter converts the DC current from a battery to AC current. Some inverters convert to 110 volts, some to 240 volts AC, based on your needs. 1. It converts Direct Current to Alternating Current. 2. It acts as a step-up transformer by converting 12 volts to 240 volts. Why do we need to convert DC to AC? It&apos;s because our home electrical appliances require AC to run. Later on, we would look at why most devices run on AC instead of DC. The difference lies in the purity of the AC current output. Depending on what types of electrical appliances you want to run, you may need a "pure sine wave" inverter. A pure sine wave Inverter puts out consistent current without jitter (i.e. fluctuation of curent). A pure sine wave inverter is required for running sophisticated equipments such as laser printers, Photocopiers, sensitive circuits, etc. If there is no need to run such devices, then a "modified sine wave" inverter would suffice. There is a big price difference between "pure sine wave" and "modified sine wave" inverters. They both put out 1000 watts (1kW). The price difference is staggering, at more than ten-fold! For the most part, home users don&apos;t run anything sophisticated. So most just go with modified sine wave inverters. A business/school/government however, is a different story. How do you choose what type of Inverter to buy? The amount of power output determines what type of Inverter to get. First count how many watts you will need. You do this by counting the watts used by all the appliances, and electric bulbs you would need to run whenever there is a blackout from PHCN. We&apos;ve earlier seen how to count total Watts. It&apos;s an easy exercise. Every electrical device has a label on it that shows its power consumption. In the event that a device does not provide this information, you can always calculate the wattage using the formula: Volts x Amperes. If even the current is not shown on the device, then you can use a measuring instrument called Kill-A-Watt to find out how much power it consumes. Kill-A-Watt is discussed later. After you get the total number of Watts you&apos;d need, add about 50% to it. Here is a question you&apos;ve probably wondered about... Can one simply purchase a large inverter, to make room for future expansion? In other words, if currently your electrical devices consume a sum of 450 watts, wouldn&apos;t it be a good idea to just purchase something like a 2 kiloWatt Inverter, to leave room for higher power needs in future? The answers is, nothing stops you from purchasing a large inverter to accommodate future expansion. However, you must be aware that Inverters themselves need power to run. The larger the Inverter&apos;s wattage, the more power the inverter requires to run. An inverter gets hot, and has a fan in it to cool it down. That means power is needed to run an Inverter. So, assuming you have a 12V@80Ah battery, this equals 960 Watt-Hour power output. In a case like this, if you purchase a small Inverter, it would only take a small amount of power to run the Inverter. However, if you purchase a large kilowatt Inverter, that inverter itself would draw a lot of power from the battery, and run down your battery very quickly. If you&apos;re going to run a large Inverter, then you must have a battery bank that consists of many batteries, with a high Amp-Hours output. As you can see, the decision about what type of inverter to buy is a balancing act, but not an overly complicated one. You just need to be prudent about what your needs are currently, vs what they are likely to be in the future. Assuming you buy a 750W Inverter today because your needs are limited to 500W. Then 6 months down the road you suddenly need a 2kW inverter, your only choice would be to replace the 750W Inverter. In a case like this, you could have just purchased a 2kW Inverter in the first place. There is a relationship between Inverter input voltage, and the output Watts. 12 Volts is the most common (i.e. the battery voltage). Higher voltages exist: 24, 36, 48, and 96 volts. 6 Volts and 12 Volts systems are often ideal for a maximum Inverter output of about 2400 Watts. If you have an inverter of higher wattage, you&apos;re better off getting batteries of higher voltage. For heavy duty industrial use, you need special batteries with very high voltage (24 Volts or higher). An inverter has two output ratings. One is called the continuous power, and the other, peak power. For example, an Inverter may be rated at 1000 Watts continuous, and 2000 Watts peak pwer. The 1000 Watts is the standard running power output. The 2000 Watts shows it&apos;s ability to momentarily handle the starting of certain devices such as power tools, refrigerator, etc. A drill is an example, which may be rated at say, 800 Watts, but require 1600 Watts to start up. That&apos;s it about Inverters. Next we will cover Battery Chargers. A battery is not usable until it&apos;s charged. A charged battery holds electrons, that then begin to flow once a circuit is completed. The flow of electrons is what is known as electric current. A battery charger&apos;s function is to transfer electrons from PHCN, over to the battery. When the battery can no longer take any more electrons, it&apos;s considered to be fully charged. You connect a Charger to the battery, and plug the Charger into the PHCN power outlet. This setup would remain that way permanently. When PHCN power is on, the Charger charges the batteries. Once the batteries are fully charged, some chargers are smart enough to automatically stop charging the batteries. As the battery charge slowly drops, either through use or even when idle, the Charger again commences topping up the charge. Basically, the charger keeps the batteries at optimum charge level. Just like anything else, battery chargers come in all shapes and sizes. 2. Charge, and top up. 3. Charge, top up, and desulfate. Obviously, the least expensive among them is the type that only charges the battery and nothing else. For such a Charger, you must keep an eye on the process. Otherwise, the battery would be overcharged. Overcharging reduces the lifespan of a battery, or it may even damage the battery entirely. The next class of Chargers has another function, which is to top up the charge. What happens is that the Charger brings the battery&apos;s charge up, and then automatically stops charging. If left connected to the battery, the Charger monitors the charge level of the battery, and periodically enters maintenance mode to make sure the charge is maintained at the maximum level. How does a Charger know when to stop charging and automatically enter into maintenance mode? This is possible because such Chargers have electronic circuit board. These chargers are described as intelligent Chargers. The most advanced of Chargers offers one more function, which is defulfation. To understand what desulfation is, we must first talk about sulfation. Basically, when your battery uses substrate such as Sulphuric acid, sulphur begins to deposit on the Lead elements. These types of deposits progressively reduces the battery&apos;s ability to hold a charge. This process is known as sulfation. Desulfation therefore, involves lifting the deposits off the battery&apos;s Lead elements. A desulfator works by sending periodic electric pulse through the battery. A Charger that desulfates, prolongs the life of your battery. It can also bring a dead battery to life, by stripping deposits off the Lead elements. There are so many batteries out there that are considered dead because they can no longer hold a charge. Using a desulfation Charger on such batteries can rejuvenate them. Generally, I wouldn&apos;t recommend buying a Charger in group #1. But if that is all you can afford, you can always purchase the charge maintainer separately. They are called Battery Tender. Chargers in group #2 are OK, but if you can afford to purchase a Charger in group #3, that is the best. If you only purchase a group #1, or #2 charger, you can later purchase a desulfator separately. You would save a lot of money purchasing an all-in-one Charger, than buying Charger+Tender+Desulfator as separate units. You will often find Chargers according to Amps. Lower Amp chargers take longer to charge your battery. The higher the Amp, the quicker your battery gets charged. While this statement is true, beware that some batteries can only be charged using certain defined Amps level. So make sure you buy a Charger that is compatible with your battery. Ultimately, if you can afford it, you should get a fully automatic Charger (often called Smart Charger). Such Chargers first inspect the state of your battery, and then begin to charge the battery at the appropriate Amp level. As stated earlier, I purchased Schumacher SSC-1500A Battery Charger for $49. This is a great Charger for the low price. I only recommend a Charger that charges the batteries, and then maintains the charge. Chargers with LCD display will display charging status. LCD is irrelevant to the actual charging, but it&apos;s good to have if you can find a charger that comes with one. Crank batteries are used in cars and motorcycles. When a car is ignited (cranked up), it requires a temporary high current. This zaps the battery. The car immediately commences charging the battery back up while the car is running. Deep cycle batteries are used in RV&apos;s, boats, etc. Deep cycle batteries are more suitable for slow discharge, and for situations where the battery is charged/discharged very frequently. A crank car battery would die very quickly if treated this way. For best results, you&apos;re advised to not allow your Crank batteries to be discharged below 20%, i.e. the battery should always have a charge of 80% or more. Deep cycle batteries should not be discharged beyond 50%. When buying your batteries for our Backup system, you want to look for "Deep Cycle" batteries. A crank battery is not suitable for this purpose. (3) AGM (absorbed glass mat). Flooded cell are Lead-Acid batteries that use Sulphuric acid on lead grids. These kinds of batteries must be maintained monthly. The maintenance involves checking the acid level, and topping it up with distilled water. The other two are sealed, and need no maintenance. But they are also much more expensive. 1. check the Amp-Hours. That is how you know the capacity of the battery. I have already gone over that earlier. 2. Check the voltage. The most used are 12 volts. However, if you find 24 volts batteries at reasonable prices, get those instead. 24 volt batteries are usually industrial grade batteries. They are generally more reliable. If you do get 24 volts, then you have to also buy 24 volts charger, and 24 volt inverter. In the same vein, if you buy 12 volt batteries, you must also buy 12 volt charger, and 12 volt inverter. There are 6 volt batteries, but I wouldn&apos;t recommend those. However, if you do want to purchase 6 volt batteries, the connection would have to be changed. Instead of pure parallel connection, we would have to first connect in series, then again in parallel. If I had 4 batteries rated at 6V@80Ah each. How must those 4 batteries be connected, so as to end up with a 12V@160Ah bank? - Use the same brand of batteries in your battery bank. - Plan your battery bank carefully, so you can purchase your batteries all at once. If you add new batteries to a bank of old batteries, the new batteries would quickly become as worn as the old batteries. Let&apos;s say we have 4 pieces of 6-Volt batteries. Our goal is to connect the batteries into a battery bank, with effective output of 12 Volts. As we noted before, in order to increase voltage, we must connect in Series. Since we have 4 batteries, we could connect 2 in series, and another 2 in series. Then connect the two pairs in Parallel. The ultimate battery bank would be 12 volts. However, that is not the only way to connect the batteries. We could also connect 2 in Parallel, and another 2 in Parallel. Then connect the two Parallel pairs in Series. The ultimate battery bank would still be 12 volts. Is there a difference between these two approaches? Are the two methods the same, or is one method preferred over the other? When connecting batteries in a series-parallel formation, first connect pairs of batteries in Parallel. Then connect those pairs in Series. Avoid chains of Series batteries in Parallel. It&apos;s worth our while to mention a thing or two about wires. We must use the appropriate wires for connecting our components (Inverter, Battery, Charger), as well as for connecting batteries in series/parallel. Wires are measured in guages. Each task requires the right guage wires, else the wires could melt, or it could become a bottleneck in the system. Luckily, most devices come with the correct wires. But just in case they don&apos;t, you should know what to look for when buying wires. Basically, when connecting your batteries together in series or in parallel, you should keep the wires as short as possible. This minimizes voltage loss. Ask for advice about what thickness to use to connect your batteries. You can just go to any automotive electrician, or ask at the store where you make your purchase. Note: When installing batteries, you always install positive terminal first, and negative last. Every job requires that some form of tool be used. This job is no exception. The following are typical tools you&apos;d need to get the job done. - Multimeter. Used to measure current, voltage, etc. This is a must have. Of course, you can accomplish your task without it, but it&apos;s best to take measurements, to be sure you&apos;re getting what you should be getting. For example, if you connected two 6 Volt batteries in series, you want to be sure that the output is 12 Volts. - Drill. Depending on the complexity of your setup, you may need a drill. If for instance you decide to pass wires through holes in walls, or you decide to run wires through your ceiling, an occasion may present itself for the use of a drill. - Silicone Caulk sealant. When you drill holes through walls, you could use silicone to seal the loose ends around the wires. Other tools may be required, such as hammer, screwdrivers, etc. Up till now, our setup has depended on NEPA/PHCN as a means of charging our batteries. It would be great if we could do away completely with NEPA, and become self-reliant by generating our own electricity. This is possible by installing solar panels for charging the batteries. In the near future, I will set aside some time to write about solar panels. But for now, I&apos;m going to talk about new developments in solar technology. Traditionally, solar panels are daisy chained to form one big solar panel. A single inverter then connects to that entire group of panels. The efficiency of the entire chain of panels depends on the efficiency of individual panels in the set. So let&apos;s say there&apos;s shadow over one of the panels, that panel&apos;s wattage would decrease. The decreased wattage then becomes the effective wattage of all other panels, regardless of how much sunshine the other panels may be getting. To fix this problem, the Micro inverter was invented. So now rather than having a single large inverter for an array of panels, each solar panel actually has its own smaller inverter, which converts its DC current immediately into AC right there on the panel. The benefit of the micro inverter is that it&apos;s independent of any other panel. So if one panel is operating at less than optimum level, it does not affect the entire system. A single inverter might work better for you, if you have ideal conditions. For instance, if your panels have complete exposure to sunlight, and no obstructions occur throughout the day. Since Micro inverters convert DC to AC immediately at the individual panel level, the resulting current of the entire solar panel chain is AC, rather than DC. That means you cannot charge a battery with it. Yes, that is correct. The type of setup that employs micro inverters often feed the generated AC current directly into the meter systems, bypassing the need for batteries. Micro inverters are used in the advanced nations for now, since modern electric meters allow the generated power to be sold to the electricity company. In a place like Nigeria, a Micro inverter would make little sense, since the AC current cannot be used to charge batteries. Well, technically it can, if you convert it to DC first, but what would be the point of that? Of course, you can use the generate AC directly in your home, but then you would have no electricity on cloudy days. One other advantage of Micro inverters is that you can monitor the performance of each individual panel over the Internet. So, let&apos;s say there&apos;s a problem with a particular panel, you can see if immediately, and find a solution for the problem. Is Running and Air Conditioner possible with solar power? There are low power AC units that draw as little as 300 watts on the lowest setting. It can run on 300 watts, with progressively higher settings that draw more power. One great thing about the unit is that you can set it at the lowest setting (~300w), and the unit would run all day at that power level. Even if the room gets hot, the unit won&apos;t kick up to the higher power level. On Auto setting, the unit adjusts up or down depending on the room temperature. What this means is that you can run your AC unit on just a single 300 watt solar panel all day without paying a penny for electricity. On the downside though, these efficient AC units can be pricier than traditional AC units.